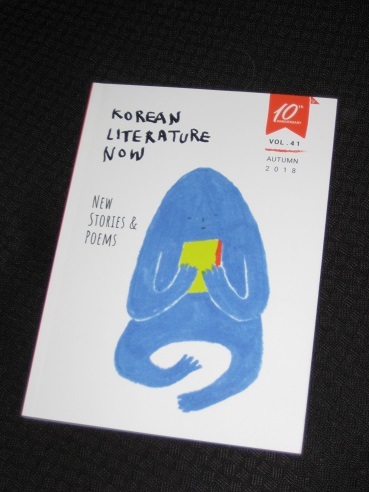 Volume 41 of Korean Literature Now pulls out all the stops to celebrate ten years of its history, with a special edition similar in style and format to the Granta magazine (but without the ads). Where the usual magazine has a mix of essays, reviews, excerpts and interviews, here the focus is very much on content. The reader is treated to five stories and five short collections of poems, with each of the ten featured writers also lauded in a short essay, written by one of their peers. Overall, it makes for close to two-hundred pages of excellent content, a must for any fan of Korean literature. Is there a road that leads to heaven? but do they practice real-estate speculation there? If so, common folk like us won’t be able to go. When we die, do the heart and soul stop at the same time? like lips becoming parched because they couldn’t find the words to speak. Then will my soul stop, somewhere in my body? Luckily for me (a fiction aficionado), then, there were also five great stories to enjoy. The only writer I’d encountered before was Hwang Jungeun, and her offering, ‘Raptors Upstream’ (tr. Agnel Joseph), is a typically low-key affair with an outsider’s view of an unfortunate family. However, this was probably my least favourite of the five stories; it was the less familiar writers that impressed me this time around. I thought we deserved a refund for a movie that put the audience to sleep. “So let’s take the sofa.” They’d clapped. Seong-min and I grabbed the front and Yeong-jae and Min-gi got the back. “Just tell ourselves we’re sofa repairmen,” said Yeong-jae, or Min-gi – whoever was behind me. So I told myself that we were the best damned sofa repairmen in the country. While Jung Young Su’s ‘Traces of Summer’ (tr. Anton Hur), featuring a chance meeting in Tokyo between two people who used to be married, continues the light mood, the final two pieces are slightly darker. Lee Jae Ryang’s ‘Carol’ (tr. Sung Ryu) sees a depressed lyricist attempting to end it all on Christmas Eve, only to be saved by a Christmas miracle. However, a year later, he discovers that his saviour’s dramatic intervention was no coincidence; only now does he find out the truth behind it. The longer he stayed at home, the more he missed his desk at the office. He felt that where he really belonged wasn’t his living room sofa or the chair in front of his home computer, but that hard iron desk and that exit staircase where he exchanged silly jokes with fellow smokers. That’s certainly a lot to be getting on with, and the short insightful essays by the likes of Park Min-gyu, Lee Seung-U and Pyun Hye-Young complement the poems and stories nicely. 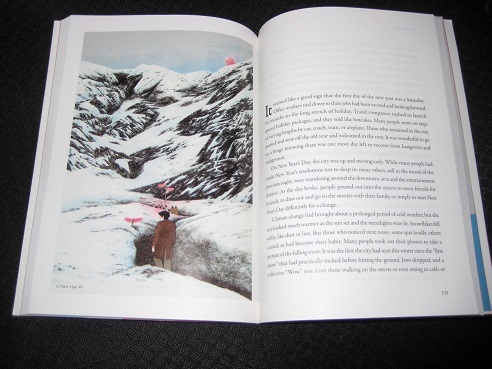 Overall, the book is an attractive item, with the photos of the writers, and the illustrations at the start of each of the short stories just adding to the positive impression. This will definitely be joining the rest of my books on my Korean shelves.